Home » Not Worth the Price » Fenterdren Review: Potent And Controversial? Not! … that’s advertising in the supplement world. 1. Dicaffeine malate: A combination of caffeine and malic acid, supplement retailers claim this “special form” of caffeine is both easier on the stomach and more effective than regular caffeine. And while caffeine’s fat burning characteristics are well established (see Am J Clin Nutr. 1989 Jan;49(1):44-50, Am J Clin Nutr. 1980 May;33(5):989-97), there is no published research to indicate that this form of caffeine is any more effective. Theoretically, it could work better, worse, or exactly the same as the regular stuff. If we assume it works equally well, I’m pretty certain you’ll “feel” Fenterdren; it contains 375 mg of di-caffeine malate – which is a pretty stiff dose. 2. Synephrine: Back when ephedra was first made illegal, supplement retailers were falling over themselves in an effort to find a suitable alternative. At first, synephrine looked like it might be it. However, since that time, clinical research has shown that synephrine demonstrates relatively minor weight loss effects (one study showed a 1 kg loss over 6 months!). A new weight loss panacea, it certainly is not! 3. Phenylethyamine (PEA): This is the amphetamine-related chemical commonly found in chocolate. There are some pretty ridiculous claims being made by weight loss retailers about PEA’s ability to create a “euphoric” state. This, of course, enables you lose weight easily while skipping about in a near drug-like state of bliss. Truth is, phenylethylamine is metabolized by the enzyme monamine oxidase, and very little — if any — supplemental PEA actually reaches the brain. So this claim is a pretty fanciful stretch of the imagination, to be sure. … for slightly less than $17. You could effectively experiment with the synephrine/caffeine combination (not that I am suggesting this combination is particularly effective) for almost a quarter of the cost of a bottle of Fenterdren. Simple formula with only 3 ingredients. So, I’ve Been taking this product for about 3 days now. Well, actually, I started off with the 2 day detox pill and now I am taking the actual pill itself. To be honest, this is the first website I have found that has’t made this diet pill sound good. But now to my personal experience. I’m not a good dieter. Carbs are my weakness. I’ve gone through several different pills, one worked for me, a little, lost about 10 lbs called Herbalean. Everything else, Ive tried and money I’ve wasted it actually embarrassing so I wont tell you. But Im trying to have high hopes for this pill only because tons of people had good things to say about it. So, wish me luck, and I’ll keep you updated. Just got my Fenterdren today will start tommorrow. I am hoping to get results as well as othe people have gotten them. Not so impressed, I might say. The claims that Fenterdren makes are so far-fetched. I feel more energy in a coffee-flavored energy drink than I do in these pills. Even the 48-hour cleansing pill sent with my package didn’t have the effect that they and their testimonials claimed at all. Most everyone said they lost almost 10-15 lbs. in 2 days! I’ve lost none to date and I’m quickly becoming more and more upset realizing the money back guarantee is only on UNOPENED bottles and less shipping and handling. A wonderful investment if you’re a fool as I was. I bought 4 bottles of Fenterdren with the cleansing pills and I’ve been taking them for about 2 months now! You tend not to get upset as easy and they greatly improve your mood throughout the day, but as far as weight loss goes, I haven’t seen any results yet! I’m in the military and I work out 5 days a week so I’m not just depending on the pill! I also watch what I eat so that I don’t work against the pills. For two weeks I ate anything I wanted and I noticed that I didn’t gain any weight… but they didn’t help me lose any either! In my opinion, these pills are good for maintaining a certain weight and keeping you up beat throughout the day but not so great for weight loss! I tried this stuff and I had a horrible reaction with the prescription medication i was taking. I informed the company and asked that they refund my money. They refused, citing their return policy that only UNOPENED bottles will be refunded. This is a horrible practice as they are apparently concerned with making the proverbial buck, that they don’t care about the health of the people that use the product. I will never do business with this company again! Duh Lisa!…. You should not take anything with a prescription before consulting with your doctor! My sister & I both started it at the same time. NO WEIGHT LOSS for either of us. This product is a complete waste of money!!! I agree with Stephanie, you will get more energy from a coffee!!! I think all the positive comments I have read on other forums were made by people who work for the company. I ordered these pills 2 weeks ago. This company promised it would be shipped in 2-3 days. When you send them an e mail they do not respond, they just send your e mail back. I was wondering if anyone else has had this problem. I am still looking forward to using the diet pill, but so far I am very disappointed in how long it is taking to receive them. Does anyone have a phone number for this company? This is just a little taste of what to expect if you decide to get sucked into ordering this product. Here is my final complaint letter after shipping the product back. By the way this system doesn’t allow you to chose 0 rating so this little star you see here would best be replaced by a skull and crossbones …you know something you find on the side of rat poisening! “After numerous attempts to reach some level of competent customer service, just to inquire about the shipping delay, I finally received the product, however my experience with just trying to reach customer service led me to question the integrity of this product and when I opened the box my suspicions were further supported by the absence of any care instructions – just some bottles of a product with barely any ingredients data to inform the consumer about content and instruction. The final tip off for me was the packing slip again with no contact info for customer service (i.e PHONE NUMBER). Add to that the packing slip looked like it was printed on a full sheet of paper and cut in half with a butter knife by a pre-schooler. In short, I don’t find this product or distribution to be reputable I wouldn’t dare even ingest one dose of this product. I packed all the bottles back into the original box and mailed back with my request for full refund and I do want my $11.00 shipping fee included in the refund reason being I did not receive the questionable product untill well after the claim of shipping within 24 hours via 2-day USPS priority mail in fact it took 9 days!!!!!! Editor’s comments: Almost anyone with a few dollars can put together and market their own supplement line – here’s how easy it is! Please think twice before you open any of the bottles of Fenterdren because once you do it will be a hassle to get refunded. I knew something was wrong when the product didn’t arrive on time. Hey, I’m the first to say quality is worth waiting for…but don’t think this product fits in that category. I returned to the web site searched for a phone number, I looked for a number before I ordered…that was a huge red flag. But when you want to feel good about yourself (i.e. 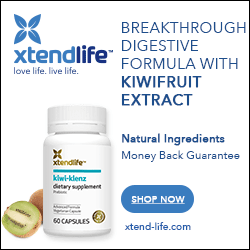 lose weight), you tend to lose sight of reality – you just want immediate gratification like the little “miracle pill” fenterdren. This is what the marketers for Fenterdren and so many others prey on… our desperation for help… but the weight you will be losing is in your wallet. I know this is long winded but I’m really discussed with companies like this taking advantage of people who just want to find a product that works. I got the same experience with the email I sent just being sent back to me like an emailing parrot. I didn’t even open my bottles and I already know the only reason I’m assured to get my refund is AMERICAN EXPRESS BABY don’t purchase a miracle without it! I love this product! I’ve lost 10 lbs in just 2 weeks! I’m very excited. I have 20 lbs to go. I purchased 2 bottles so I hope that does the trick. Didn’t see any results, returned by unopened bottles as I was told to do for a refund, but never got a refund from them. They initially responded to my emails but are now ignoring them! I have been using Fenterdren for about 2 months and I have to say I have had great results using this product. I work out about 7 days a week and watch what I eat. So far using Fenterdren I have lost about 45 lbs and I feel great. I will order this product again! Editor’s comments: Tray, we’re glad you’re happy with this product. One question though; if you workout 7 days a week and watch what you eat, why do you dismiss all your hard work as the major contributor to your success? While it’s quite possible Fenterdren gave the necessary “boost” to make it through your workouts, it’s hard work, exercise and smart eating that’s the foundation of your success. I have been taking Fenterdren for exactly one week today. I have lost 6lbs. There is no such thing as a miracle weight loss supplement that you can just pop in your mouth and lose weight, you have to lead an active, healthy lifestyle along with the supplement in order for it to work. I would say fenterdren has definitely sped up my weight loss progress thus far and it’s only been one week. However, the 48 hour diet pill you can definitely do without, I didn’t notice any difference from it nor did I witness any miraculous changes in just two days. From my experience the only detox pills that work are the ones that contain laxative. Hope this was helpful to you guys and good luck with your weight loss! I have one bottle left of the stuff and gave up on it. I even worked out and tried to cut back on eating. It did nothing for me. I’m back to an extreme routine at the gym and much happier than I was with this pill. It did not help at all I think it may have hurt the weight loss progress. I was once in very good shape and got badly injured and gained weight. I got back into shape and then, of course, I got hurt worse later and lost my progress. I tried this pill and it now is harder to lose the weight than it ever was before. I do not think anyone should use this pill or any other. Just go to the gym and eat better. There is no magic pill to help you, it is all on you! Good luck! Anyone who thinks they can take a pill to magically lose weight is living in a fantasy world. People, there is no secret to this weight loss stuff. Just eat a varied and moderate meal and exercise, duh! Its really not rocket science, these diet pill companies prey on weak individuals who like to blame their weight on everything but themselves. Go outside and run! Don’t eat fast food! And eat a varied meal. NO, carbs are not bad, sugar is not bad, fat is not bad, it’s eating excessive amounts of anything that is bad. Some of the people on this site are really quite pathetic, I’m sorry. Take control of your life and stop throwing money at every scam telling you that you’ll “shed pounds”. Good luck. I started taking these pills a few months back, and this isnt a fake marketing post by the way. I felt so amazing after I started I had this incredible high energy feeling, Ive never felt anything like it. I didnt measure my results but looking at photos of me Ive lost my double chin and Ive def not got that frumpy tired look around the face.